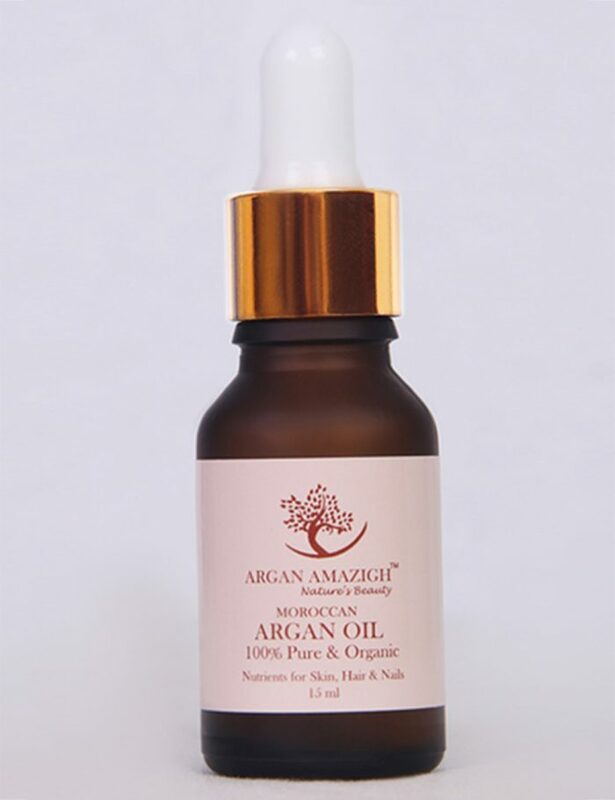 Moroccan Argan Oil (Argan Amazigh Nature’s Beauty) is 100 % Pure and Organic obtained by first cold processing of kernels which are extracted from raw argan nuts of the argan tree. 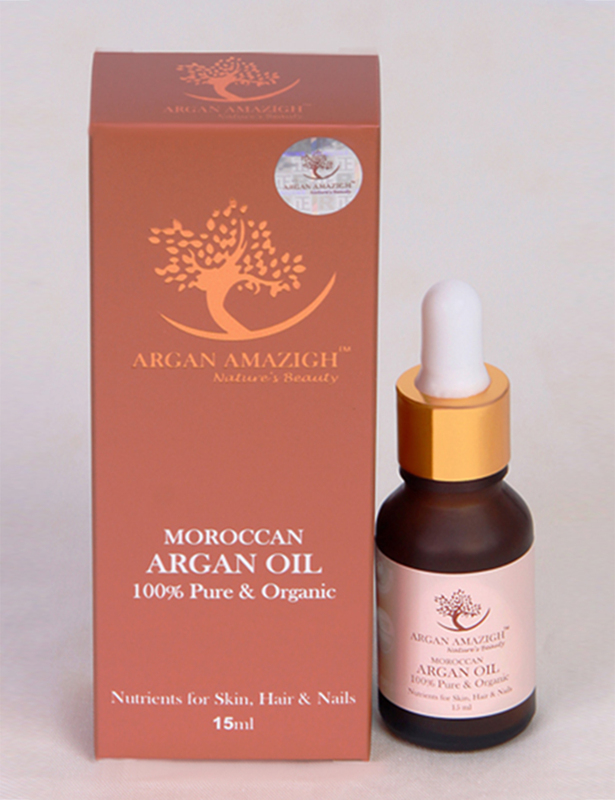 Argan oil works as food for skin, hair, as well as nails. Apply few drops of Argan Amazigh oil over a clean face, neck or to the affected area once. Massage gently and allow the oil to absorb into your skin. Repeat once in the morning and before bedtime. Before shower, apply a few drops of Argan Amazigh oil into your scalp and massage until the end of hair strands. Leave it on for 20 minutes. Wash hair with shampoo and rinse off. After shower, apply a small amount to add shine and moisture to your hair. Repeat twice a week for soft, smooth and glossy hair. Mix equal parts of Argan Amazigh oil and lemon juice. Soak the nails for 10 minutes and rinse it off. Also rub a small amount of the oil in your hands before going to bed. Apply twice a day to strengthen weak or brittle nails, soften your cuticles and improve their appearance.